Double Fine dropped a 9 minute video for the backers of Psychonauts 2. That video is public and sits directly above, and it contains some bonafide test footage for Psychonauts 2. This is an art test, "a conceptual exercise done to help the team understand how a modern Psychonauts game might look." Want to know how it might look? It might look incredible. At around 1:30 in the video above, Tim Schafer and Project Lead Zak McClendon sit down to show off this art test. The test was built in Unreal 4, and it was made to help the development team move forward. They basically recreated the Whispering Rock area from the original game, though the pair of developers plainly say that we won't be returning to that point in the sequel and that this footage will never make it to the final product. 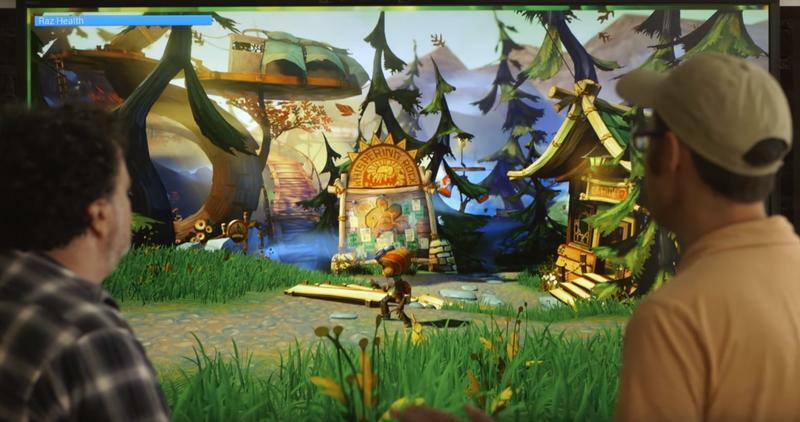 We're a ways off from Psychonauts 2, but if the test footage looks this good? The game should look amazing.